9 Formats Of Performance Support Tools This video offers the benefits of Social Learning for employee training as well as using Microlearning Videos as a useful social learning tool. 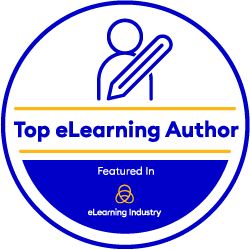 Tips And Examples For Using Microlearning To Promote Informal Learning At The Workplace This video helps you promote informal learning at your workplace by using microlearning. 10 Ways To Use Microlearning For Corporate Training Effectively This video provides a cheat sheet with 10 examples of using Microlearning effectively for Corporate training.